Change your own tires effortlessly. This new tool saves your back and knees. 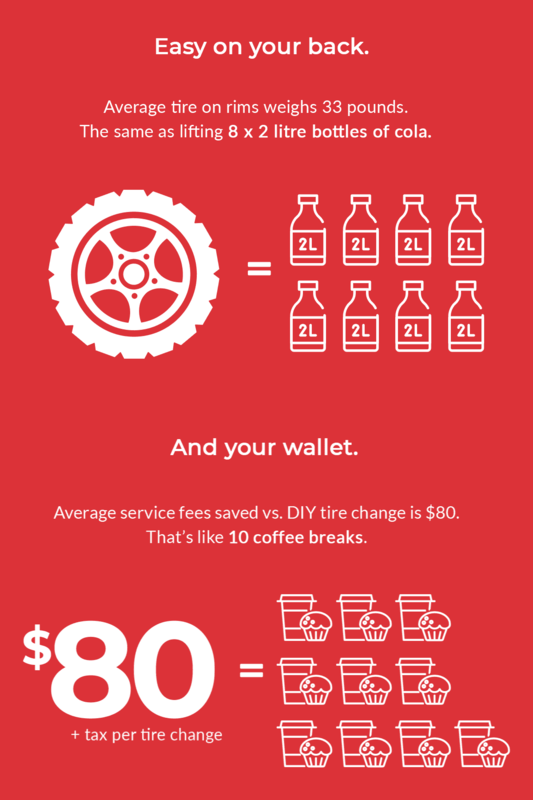 Changing your tires saves time and money, but it doesn’t have to be a pain. Tire off, tire on. 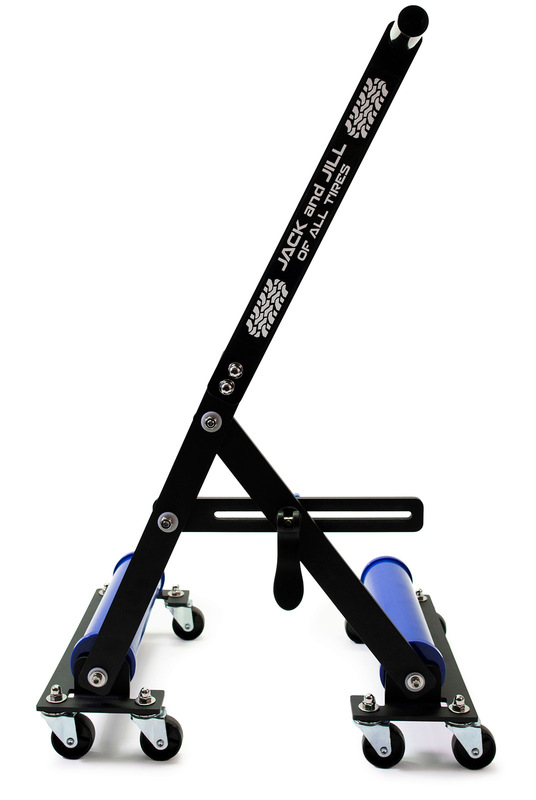 With the Jack and Jill tire trolley, it really is that simple. Check it out. Try it. And use it year after year. Lifts, rotates, and moves tires up to 100 lbs. Time to change your tires, or change your mind. If it doesn’t work as promised, we’ll give you a full refund. Built to last year after year, if something goes wrong our three year warranty covers all parts. 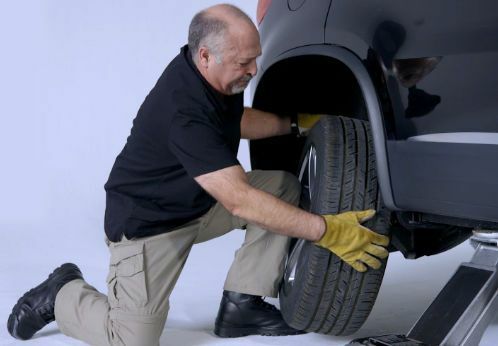 Finally, there’s a simple tool that saves you from the old “get down on your knees, lift and strain, quickly reach for the nuts, or hip-check the tire to hold it in place” game. Add to that, you can still change your own tires for years to come, which means you won’t live by someone else’s schedule. Change tires, at any age. Change your tires or change the whole family’s tires. All without breaking a sweat or your back. Booking the mechanic. Taking time off work. Getting to the garage. Finding out they’re delayed. It all adds up to time you can save. Stop Changing Your Tires The Hard Way. 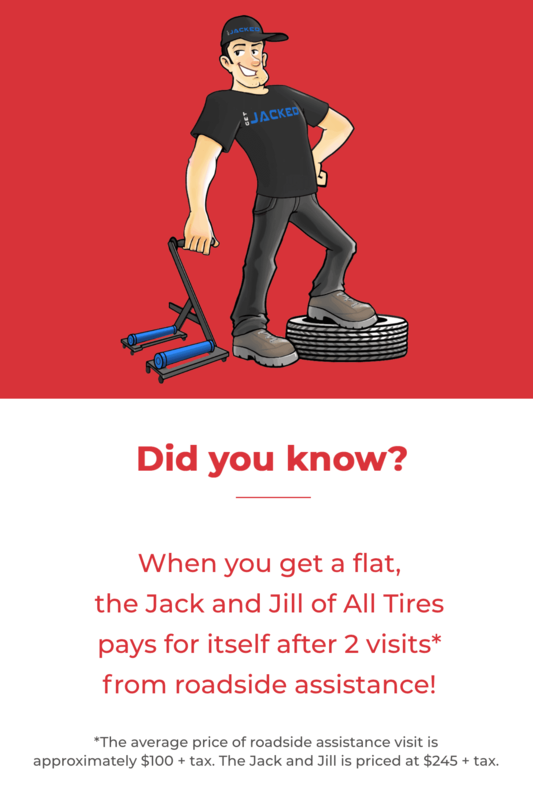 See the steps anyone can use to change your own tires the easy way with the new Jack and Jill of All Tires. The hardest part of changing your own tires is lining up the wheel with the lug threads. After having had a hip replacement, my ability to hold a wheel and tire while trying to line it up with the threads is now virtually impossible for me. The Jack and Jill trolley allowed me to easily line up the wheel with the hub and rotate the tire until the lug threads were lined up; just push the wheel onto the hub. The Jack and Jill is very easy to use; I am very glad to have purchased it. In the past, I was too nervous to change my own tires for fear of making a mistake. I was wasting lots of money on seasonal tire changes, and so I went searching for a product that would help me do it myself. After using the Jack and Jill of All Tires, I feel more confident changing my tires on my own. I can even fit it into the trunk of my small car for long road trips in case of a flat tire. 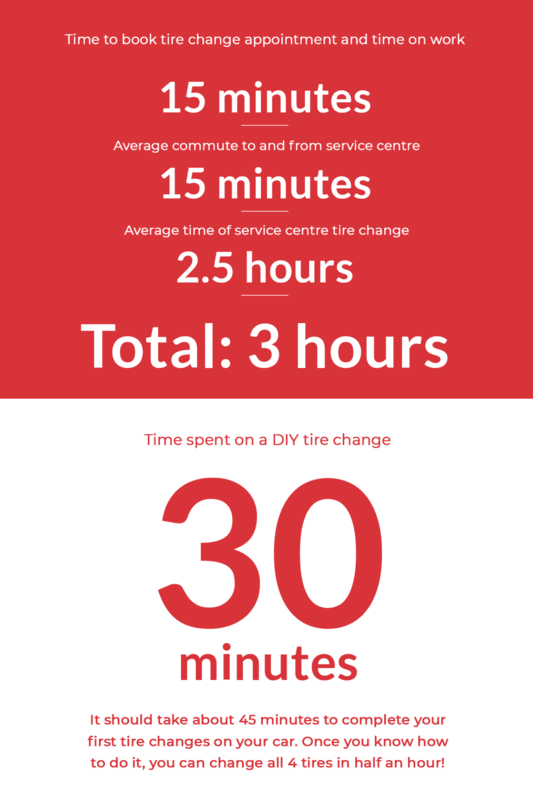 I would recommend it to anyone who is hesitant about changing their own tires for the first time. With over 7 years experience in the automotive industry, I haven’t seen a product quite like this. Regardless if you’re a mechanic or an at-home ‘do-it-yourself’ kind of person like myself, you owe it to yourself to try this product. Saves time, effort, and your back! 1 (416) 631-6513 to place an order.